Without human intervention, a stone is just a stone. But when it is lifted and placed within a broader structure, like a winding country wall, it becomes a boundary, a landmark, a work of art. And when it is wielded with anger against another person, it become a dangerous weapon, capable of inflicting injury or even death. Technology is precisely the same. Like the quiet stone, it is neutral and without feelings or judgement—despite its ability to wreak havoc. Albeit not from the natural world, technology is simply an extension of our human capability and a symbol of the future we envision for ourselves. But at the end of the day, both the simple rock and the not-so-simple devices we use every day are still just a means to an end; they can bring about our oppression or our liberation—the choice is ours. Many would say digital inventions like social media have improved our lives to a large degree, but as a resource, they have also become increasingly difficult to control. This morning at RSAC 2018, one of Comodo Cybersecurity’s resident experts, Dr. Kenneth Geers, reminded everyone in his presentation, POTUS Is Posting: Social Media and National Security, these social platforms have recently been weaponized against the very people they were designed to entertain. 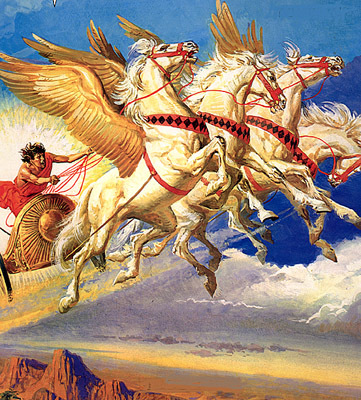 Much like the mythological figure of Phaethon, who insisted on driving the sun chariot despite his lack of equestrian skills, human beings have clearly overestimated the manageability of such a dynamic resource. And just as Phaethon lost the reins of his powerful horses, we too are poised to scorch the Earth with our ignorance and lack of digital foresight. Computer networks are now commonplace in geopolitical conflict, and the rapid evolution of cyber threats makes it challenging for defenders to keep up. If the cybersecurity world does not acknowledge this reality in a timely fashion—and with a cogent, compelling strategic plan—the cyber-battlefield of 2020, just two years from today, may feasibly overwhelm the usability of the internet. As a senior research scientist at Comodo Cybersecurity, Geers paints a fascinating picture that is both futuristic and entirely plausible. “Connectivity is the most important thing to think about. We have laid the foundation for one world government via the internet.” The hardware is in place, the systems have been designed, and now we must focus on the not-so-controllable element of human behavior, which will likely pose the biggest threat to our success. History tells us man has always been his own worst enemy, and it seems not much has changed. The internet has paved a road to the creation of a virtual civilization, full of digital citizens from all corners of the planet, which leaves every country, every government, every community, and every single person vulnerable. 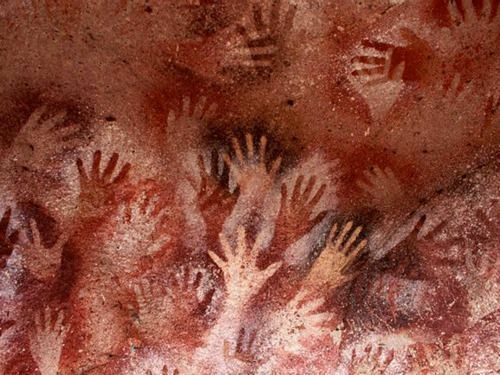 Social media is not necessarily a modern invention—it has been around for some 40,000 years, as is demonstrated by the hand stencils found painted on the walls of Paleolithic and Neolithic caves. 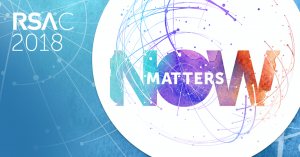 People have been looking for ways to connect and share their existence with others since the dawn of man—that is nothing new. But instead of marking our lives through cavernous wall art, we do it through Facebook, Instagram, and Snapchat, posting pictures and ideas in place of dusty handprints. As a result of this evolution, we have essentially created one cyberspace and one new nation in the form of social sharing. This history is evidence of our inherent need to see and be seen by others, something we clearly cannot live without, and yet the question of who exactly is charge of this all this data is not entirely clear. If it is truly such a valuable part of our human exchange, we must figure out better ways to protect our information from being used as a platform for criminal warfare. In all likelihood, the window into a safer future shows more focus on biometrics, virtual reality, and blockchain technology to regulate and control this digital civilization we are destined to create, but there will also be considerable need for IT that supports these underlying approaches. Comodo Cybersecurity, as is demonstrated through the wise words of Dr. Geers, is already well on its way to finding such solutions through advanced endpoint protection, managed detection and response, secure cloud and internet access, and fully managed security services. Yes, increased awareness around privacy and personal data is critical, but at the end of the day, the technological solutions like those of Comodo Cybersecurity will be the only way to mitigate the ongoing weaponization of our digital resources. Having a weapon is one thing, but if you can’t use it—well, it doesn’t really matter. At Comodo Cybersecurity, we know certain malicious human behavior will likely never disappear entirely—and weapons of some kind will always be available—which is precisely why we must find new ways to render them useless. Ready for a Love Affair with Your Job?